Creating a unique loft decoration is sometimes difficult to accomplish. 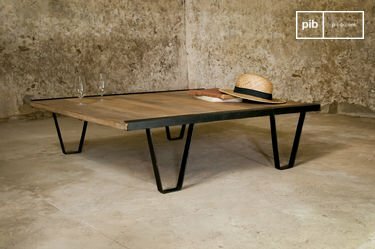 We have selected furniture that resembles vintage models in order to obtain as much authenticity as possible. The finish has been completed particularly carefully on all of our models. Whether it is the blending of wood and metal or the aesthetic balance of the piece, we have applied our know-how down to the finest of details of our retro bedside tables. Regarding materials, our retro bedside tables incorporate the two preferred foundations of period design - solid noble wood and sturdy metal. Not only do these materials have the advantage of possessing a special characteristic, they are also durable and resistant in the long term. Do not worry about the wear and tear of your product or its premature degradation, because if well maintained, it will keep its original appearance for many years. 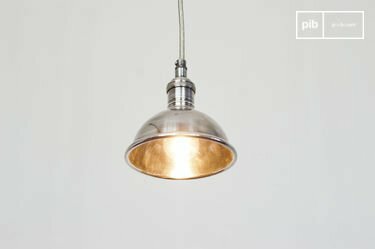 Harmonise your decor with industrial lighting and combine it with other elements such as your vintage sideboard to complete the look. Choose a more mechanical model with transparent springs, which will bring a vintage, metallic appearance. Perhaps you prefer the simplicity of a wall lamp to maintain in subtle lighting tones. 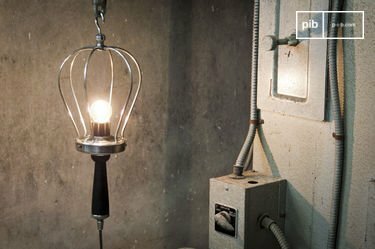 Alternatively, opt for industrial wall lights above your retro bedside tables, like Jieldé lamps, which will provide you with an old school look to your decor while guaranteeing a life-long purchase. You can also decorate with a cupboard, with a combination of both functionality and aesthetics, our storage furniture range strikes the perfect balance between ergonomics and fashion. We've conceived every possibility to better satisfy you by offering optimal storage options to arrange books, dishes, or other fragile items. 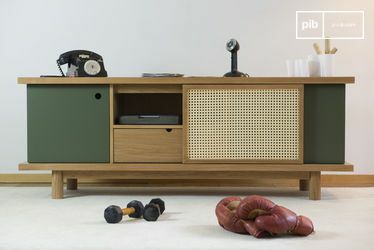 The timeless and robust shabby chic tv unit has been designed to support even the heaviest of equipment. To create a room that is 100% industrial, enhance your ambience with an industrial mirror, or sign letters for a more convincing vintage style. Whether through their weathered appearance or their shapes reminiscent of craft furniture, a retro bedside table will bring authentic charm to your space.